Follow our event on Facebook for the latest updates! The leadership of Thompson Cancer Survival Center honors the selfless dedication of Jeff Jacoby in support of this event and our patients. Jeff is sorely missed and this event continues as a tribute to his passion and support of the fight against cancer. 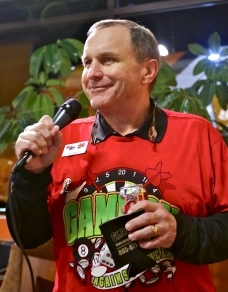 Game On Against Cancer benefits patients in need at Thompson Cancer Survival Center. The event features celebrity matches on a variety of home gaming equipment, music, delicious food and beverages, and a fabulous selection of silent auction items! 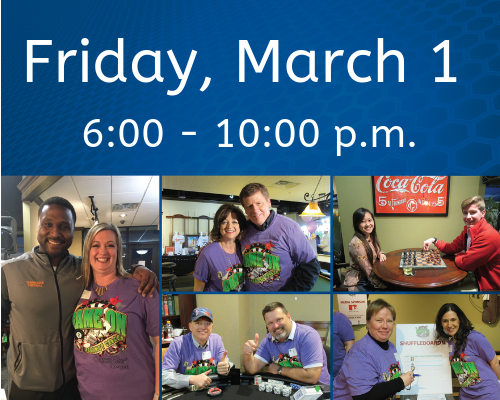 Friday, March 1, 2019 • 6 – 10 p.m. Ticket price includes admission, unlimited free play, one celebrity match (additional matches available for $20 each), food, and a beer/wine token. 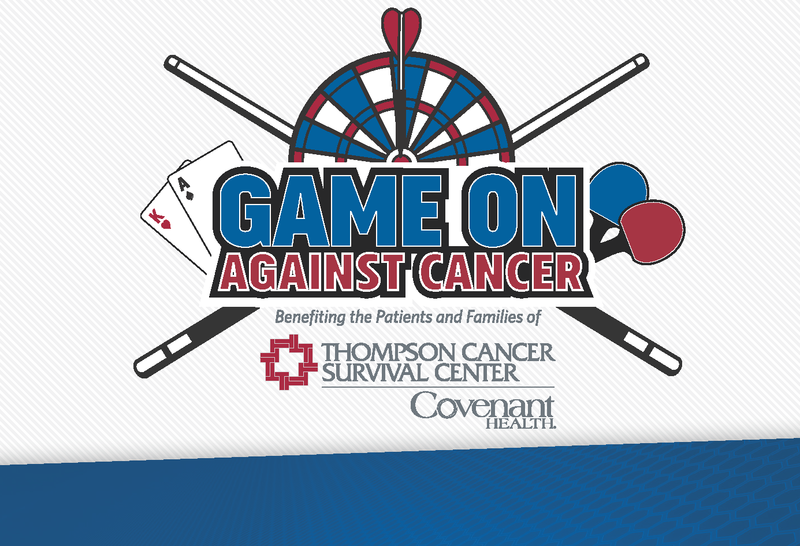 Game On Against Cancer's proceeds support Thompson Cares, a fund that assists cancer patients in financial need with their basic living expenses. Thanks to your genorosity, in the last seven years the event has raised more than $340,000! 280 Fort Sanders West Blvd, Suite 202, Knoxville, TN 37922. Call 865-531-5210 for more information.